Now, a large number of downloaded videos come with MKV extensions. But, MKV cannot be compatible with DVD player. So, for the people who want to convert .mkv to DVD, you will find the easiest way in this article. Q: I want to convert an .mkv movie I have so I can burn it on a blank DVD. I would rather like to avoid programs that cost money or freeware that will convert the whole movie but leave the watermarks (those little messages in the middle of the screen that say that it is a demo). Please advise. A: MKV is indeed a popular multimedia container format, which is able to accommodate different types of audio and video compression formats, pictures or subtitle tracks and other data, usually the video, movies, and TV episodes you download on the Internet are mostly MKV format. However, MKV cannot be compatible with DVD player. To play MKV files on DVD player, you firstly need to burn MKV to DVD disc. When you search for “how to burn MKV to DVD”, you will find that many of the answers are outdated or require paid software to do so. 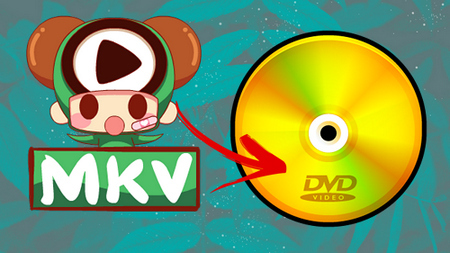 While today, you can easily convert .mkv to DVD without any cost. Let's start our tutorial below. With WonderFox DVD Ripper Pro, you can rip a DVD to MKV video with intact video, audio and original picture quality in only 30 minutes. First of all, a free MKV to DVD converter is indispensable. In order to avoid you from spending time on various software trials, you can refer to the Top 10 Free DVD Creator Software that we once recommended. In this article, we would tell you how to convert .mkv to DVD with DVD Flick. Step 1. Insert a blank DVD into the CD/DVD Drive burner. Step 3. Run DVD Flick, and then click on the Add Title button on the right to load your MKV files, or drag-and-drop all MKV files directly into the main window. Step 5. (optional) Click Menu Settings to add favorite menu style for DVD. Step 6. Next, click the Create DVD button on the menu bar to start converting MKV to DVD. The process may take a while, the specific time depends on your computer configuration and file size. Step 7. After the conversion is complete, ImgBurn will automatically pop up to complete the MKV to DVD recording. Now you can enjoy your MKV files on home DVD player with ease. 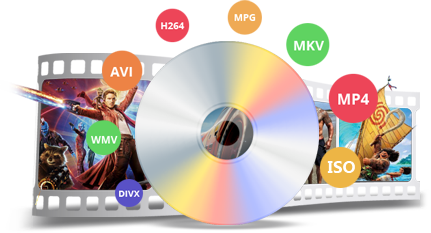 Tips: Since MKV supports many codecs, if your MKV file fails to import due to incompatibility of audio and video codecs, please try other DVD burning software. Or use the audio/video converter to transcode MKV and re-import it. Convert MKV to DVD simplifies a lot of steps in this way. Earlier, if you want to burn MKV to DVD, you must first convert MKV to MPEG-2 and change other parameter settings, and then burn .mkv to DVD. 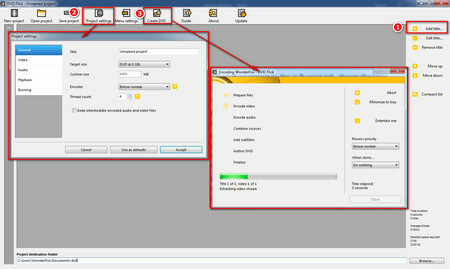 Many of the latest version of free MKV to DVD converters now simplify such process. You can convert .mkv to DVD with just a few clicks. Convert Any DVD to MKV, AVI, MP4, iPhone X, etc. WonderFox DVD Ripper Pro can not only bypass DVD content scramble system (CSS) and region coding, but also remove a variety of protection techniques. So, it will convert your any DVD to MKV, AVI, MP4, iPhone X, Samsung Galaxy S9, etc. 300+ video formats and devices. The Hottest Way to Convert MKV to iPad in 2018 Three Fast and Easy Methods to Convert MKV to AVI How to Convert MKV to MOV with No Effort?